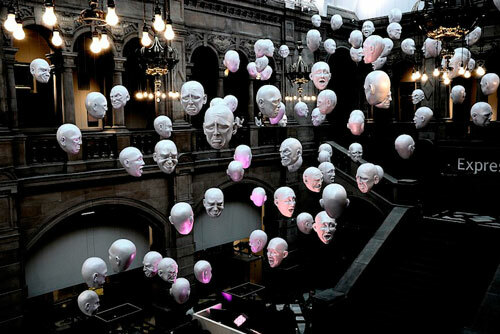 Ever get that creepy feeling that a hundred set of eyes are watching you? 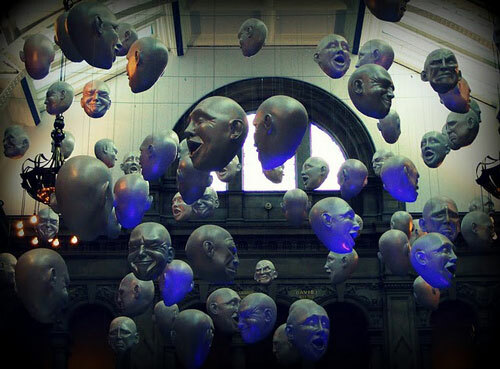 Thanks to Sophie Cave, this nightmare has turned into a reality! 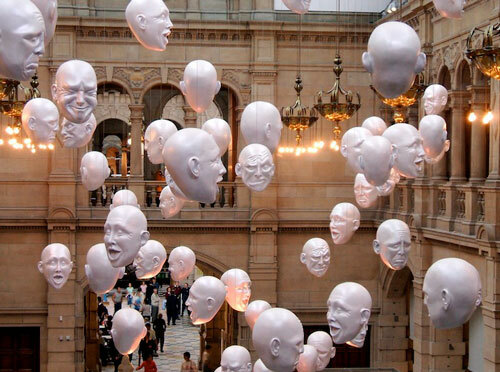 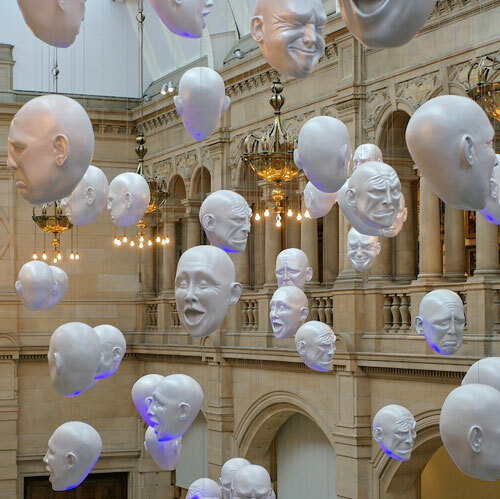 The Floating Heads installation at the Kelvingrove Museum in the Scottish city of Glasgow is quite literally turning heads. 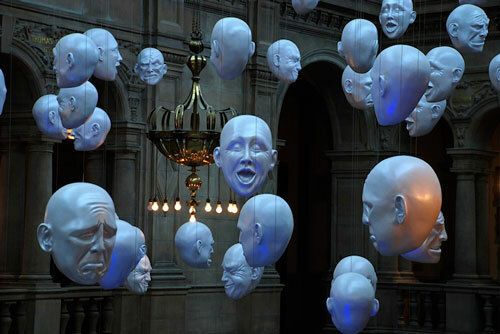 Cave created over 50 of them, each displaying different emotions including laughter and despair. 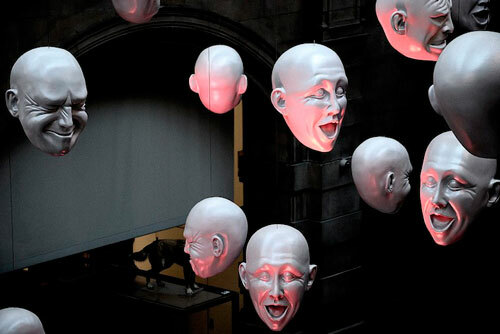 The heads are completely white, but are lit so that their expressions are accentuated, which gives the installation a somewhat eerie feel.